A lot of the garden went to weeds this past fall while I was doing the bare minimum required to get by. So I didn't plant anything in our cold frame...although self-seeded arugula filled nearly half the space. With the lettuce under our quick hoop starting to be damaged by winter cold, though, I figured it was time to see if I could get some midwinter lettuce going in the slightly warmer space under glass. 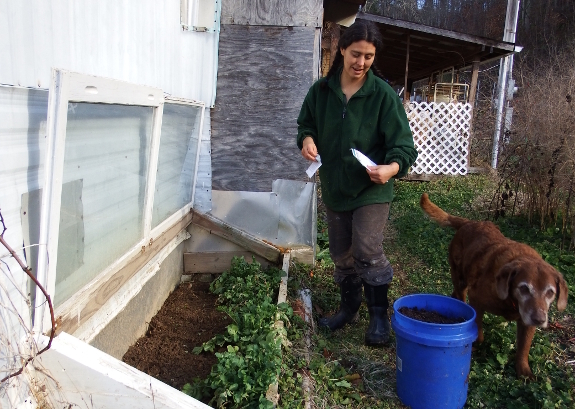 Perhaps the cold frame will serve us a salad by Groundhog's Day?